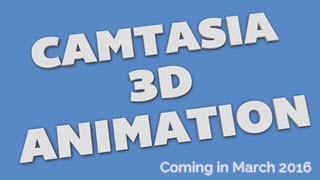 We are proud to present Camtasia 3D Text Animations project templates! These templates are fully editable, meaning you can change the text to your own, as well as the colors, font, size and animation. Check out the overview video below to see samples of included Camtasia project templates. 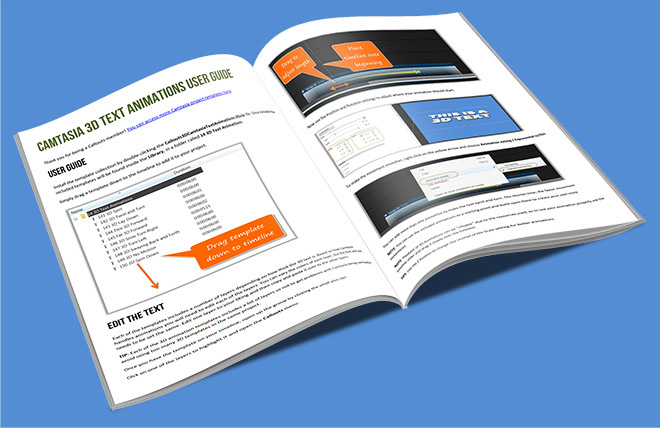 There are 10 premade templates included as well as a user guide for you to create your own animations and an overview video to see the included templates. Furthermore the templates are drag-and-drop. They install directly into Camtasia Studio (PC) and can then be dragged down to your timeline and edited as you wish. The templates are created for Full HD 1920×1080, but can easily be scaled down. I hope you find them useful. There is also a manual included on how to edit the text and animations.